It’s the beginning of a long, hectic day and you’ve slept through your alarm clock. You spring out of bed, quickly throw on what you hope are clean clothes, race to the bathroom to brush your teeth and by some miracle make it out the door with moments to spare, car keys and wallet (hopefully) in hand. For some of us, this is a typical weekday morning; we’re happy sacrifice a calm and collected start to the day for a few extra minutes of sleep. But in the mad dash to make it to work on time, we forget what should be an essential part of any morning routine: breakfast. A 2015 study from Instantly found that more than 53 percent of Americans skip breakfast at least once a week, and 12 percent never have breakfast. The majority of respondents said they skip breakfast because they aren’t hungry in the morning or don’t have enough time to throw something together. However, research repeatedly demonstrates the importance of making time for a healthy breakfast at the beginning of each day. In a post for the Mayo Clinic’s Expert Blog, Sara Carlson, a registered nurse and certified diabetes educator in the Department of Endocrinology at Mayo Clinic, said one of the many reasons to eat breakfast is blood glucose control. “Those who regularly eat a healthy breakfast enjoy brain-boosting powers, heart health, improved skin, enhanced immune system, stabilized energy levels, reduced risk of eating disorders, weight control, reduced risk of metabolic syndrome, and longevity,” she writes. Carlson isn’t the only Mayo Clinic expert to speak to the importance of breakfast. Katherine Zeratsky, a registered dietician, writes that eating a healthy breakfast may help people lose excess weight and maintain weight loss by reducing hunger later in the day, helping to stay on track to make healthy choices all day, and by providing the fuel to replenish the body’s glycogen stores. “So, if you skip breakfast—whether you’re trying to save time or cut calories— you may want to reconsider, especially if you’re trying to eat a healthy diet and manage your weight,” she writes. Most of us, however, have heard similar sentiments dozens of times but are quick to cut breakfast when running late. Those who eat breakfast surveyed in the Instantly study said convenience is key; almost half of respondents said they eat breakfast on the go by stopping at a fast food restaurant or a coffee shop. But, that isn’t always the best option, considering it’s less costly and more nutritious to prepare a quick bite at home. 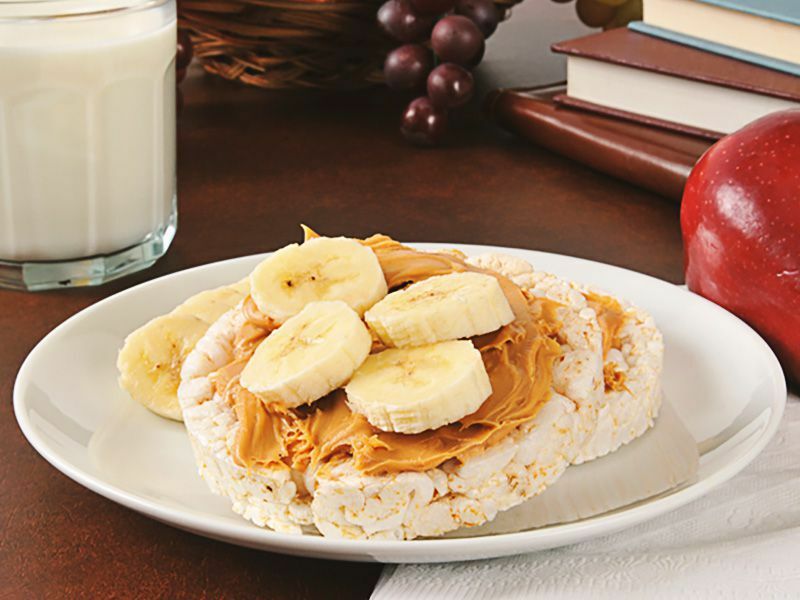 Thank goodness for the internet, with its plethora of healthy and convenient breakfast ideas! Get your Pinterest board ready—we’ve put together a list of ten tasty (and easy) breakfast ideas to jumpstart your day in a nutritious way. Manda Perkins is the social media and public relations manager for the Center for Excellence in Higher Education. When she isn’t geeking out over social media trends or tuned into a webinar, she’s enjoying live music with friends or spending quality time with her cat, Willow.